FARMINGTON, Utah, Jan. 13, 2017 /PRNewswire/ -- Vista Outdoor Inc. (NYSE: VSTO), a leading global designer, manufacturer and marketer of consumer products in the outdoor sports and recreation markets, has named Dave Allen as President of its Outdoor Products segment, which includes Hunting and Shooting Accessories, Outdoor Recreation, and Sports Protection. As segment president, Allen will have responsibility for segment-level financial performance, strategic planning, innovation and new products, brand management and marketing, product line management, sourcing and supply chain management, capital expenditures and R&D investment and returns, and talent management. Allen joined Vista Outdoor as Senior Vice President (SVP), Sales in 2016. He has over 23 years of experience in consumer products and has strong experience in the outdoor industry. 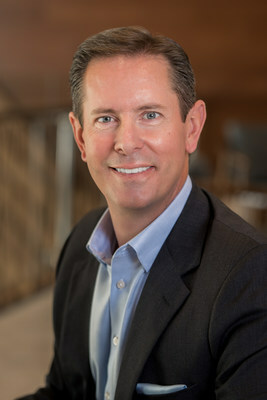 Allen previously served as the President of Coleman USA for the Jarden Corporation, and he has held domestic and international leadership positions with Alberto Culver and Unilever. "Dave's strategic leadership capabilities, experience leading a large P&L, and a solid track record in both sales and marketing, have prepared him for this role," said Vista Outdoor Chairman and CEO Mark DeYoung. "Dave's performance, skills and relationships have established him as a well-respected leader within Vista Outdoor and the outdoor recreation industry. Given his demonstrated focus on strategic planning, accountability, delivering results, and creating shareholder value, he is the right person to lead the Outdoor Products segment and deliver improved performance and future growth." Allen replaces Kelly Grindle, who has left Vista Outdoor to pursue other opportunities. "I want to thank Kelly for his efforts and wish him well," said DeYoung. The Company has also named Jason Vanderbrink as SVP, Sales. He is responsible for leading Vista Outdoor's portfolio of domestic, international, law enforcement and government sales, and trade marketing operations. 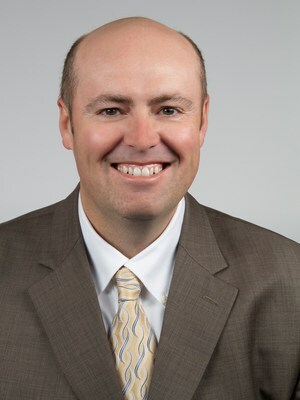 Vanderbrink joined Vista Outdoor in 2005 and most recently served as the Company's Vice President for Retail Sales. He brings 17 years of experience in the Outdoor Recreation business working across channels and customers. "Jason is a trusted leader within Vista Outdoor and has consistently succeeded in his various sales roles within the company," said DeYoung. "He develops and executes successful sales strategies and works closely with our product development, marketing, and retail activation teams to create unique solutions to meet the needs of our diverse customers and consumers. Jason routinely delivers data-driven insights, new business opportunities and innovative solutions. He has helped to build a best-in-class sales organization, and he has recruited top talent. I look forward to working with Jason and having the company benefit from his thoughtful and proactive leadership, insatiable drive to win, and his contributions to the corporation's success as we pursue our vision and objectives in the diverse outdoor recreation market." Both Allen and Vanderbrink report directly to DeYoung and serve on the company's executive leadership team.